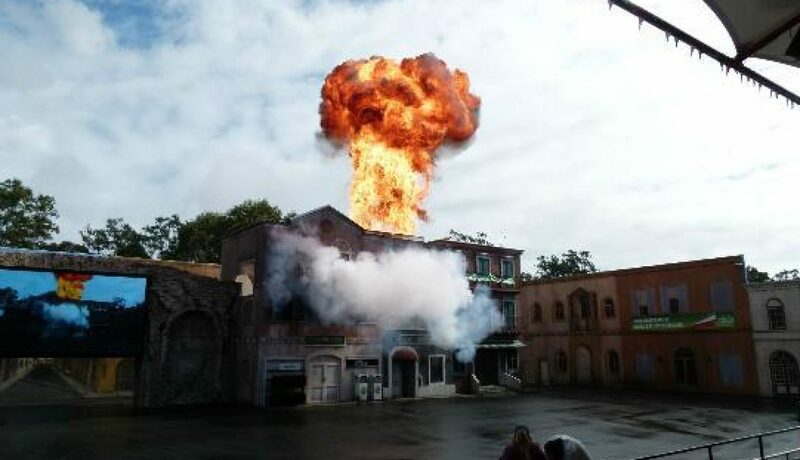 As experts in the field of Pyrotechnics, FXI (FXI) are reguarly approached to provide breathtaking fire effects for feature films, small & large budget television shows and special events. Our list of achievements include many spectacular fireball explosions for war scenes, buildings (minature to full scale), cars and boats, not to mention raging infernos within buildings and structures of all descriptions. Whether it’s alight with flame, burning to the ground or exploding to pieces, FXI have the resources to achieve the pyrotechnic effects you want. The FXI team of experienced artisans, fabricators, designers and engineers have come together from a variety of different skill backgrounds to produce world-class movie special effects. From the initial design and engineering stage through to the finished fabrication by our skilled team of qualified mechanics, welders and machinists, we have the resources and skills to handle any project.